Some of my short lengths of jewelry chain were getting tangled up in the box so I decided to wrap them around something. Great use for the wine corks, I thought. I drilled one hole through the middle of the cork and then another hole from the top center to the side of the cork. I dropped an inch of chain through the center hole and then secured it by wrapping chain around the cork. 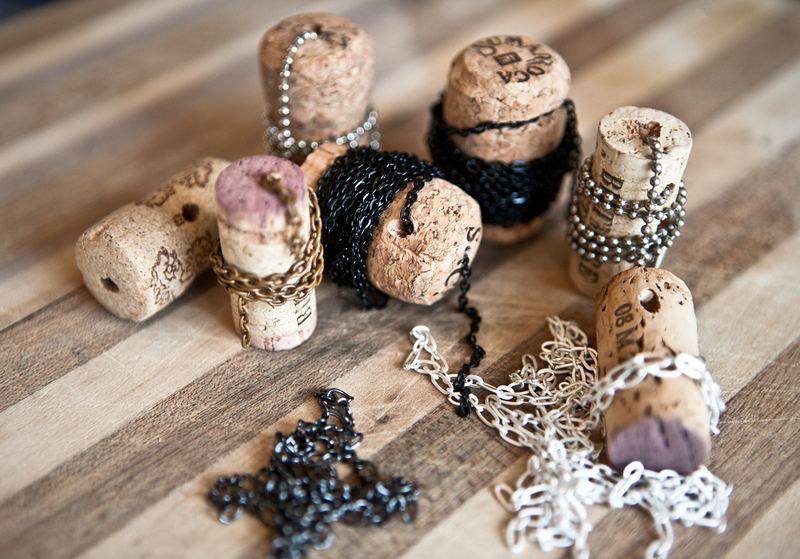 Then I put the remaining end of chain up through the side hole and out the top of the cork. But then when you lift the cork, the chain falls right off the bottom of the cork! Ha ha! Back to the drawing board on this design. Craft Fail - Jewelry Chain keeper. The chain falls right off the bottom!